Coordinated efforts in a Department Of Energy site allowed multiple tasks to be completed concurrently. Gilbane performed decommissioning and demolition (D&D) of multiple structures, systems, slabs and below grade structural features, as well as removal of radioactive and/or hazardous materials (above and below grade) and remediation of underlying soils. 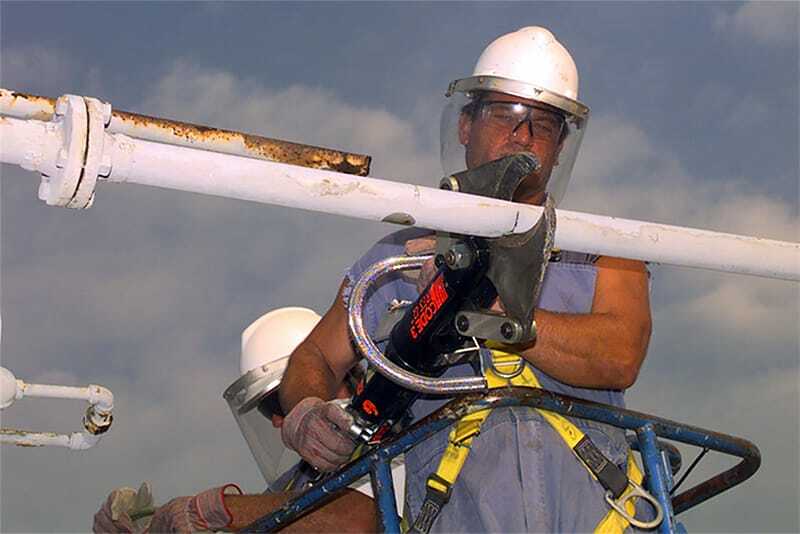 Notification of State of New Mexico, and Secondary Utility Disconnect Verification and Air Gapping was also performed by Gilbane. Readiness Review with a Gilbane-supplied Management Self-Assessment was successfully completed, as well as support closeout of pre- and post-start findings. D&D of TA-21-209 included all the roof, exterior walls, and interior columns; however, the end result/condition required the basement floor and the basement walls up to 3-feet below grade to remain in-place. 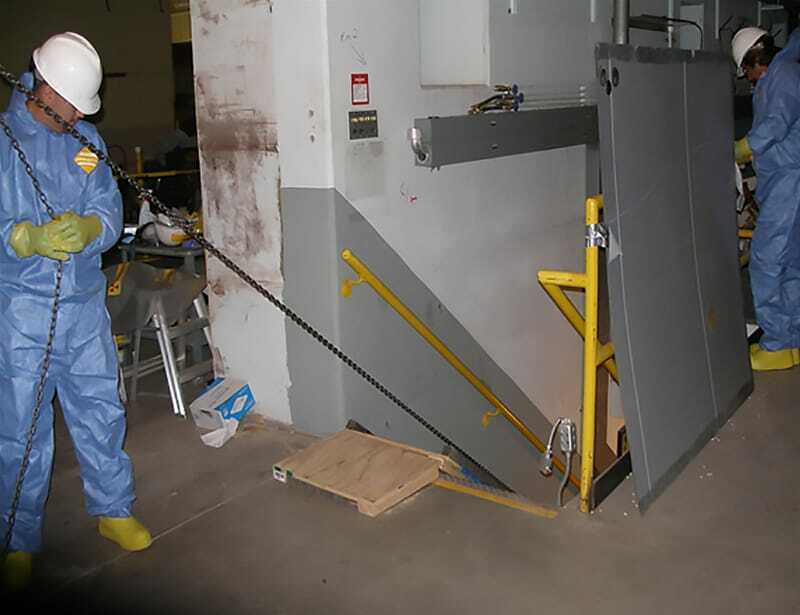 Radiological scoping surveys were performed and developed into characterization surveys which were used to decontaminate internal surfaces. Final surveys were performed and reviewed by DOE (who self-regulates similar to NRC) allowing clean demolition and recycle of the building structure. Abatement of HazMat (PCB transformers, asbestos, etc.) was also performed prior to demolition. Gilbane acquired and closed out New Mexico permits for Storm Water Pollution Prevention Plan (SWPPP). Gilbane performed a final status survey in accordance with the MARSSIM requirements. The results of this survey were documented in a Final Survey Report and approved by LANL prior to demolition.